This product is a multi-functional MT4 indicator and is an indispensable tool for account information statistics, strategy analysis and risk assessment. 1. Statistical account basic information of profit and loss. 2. 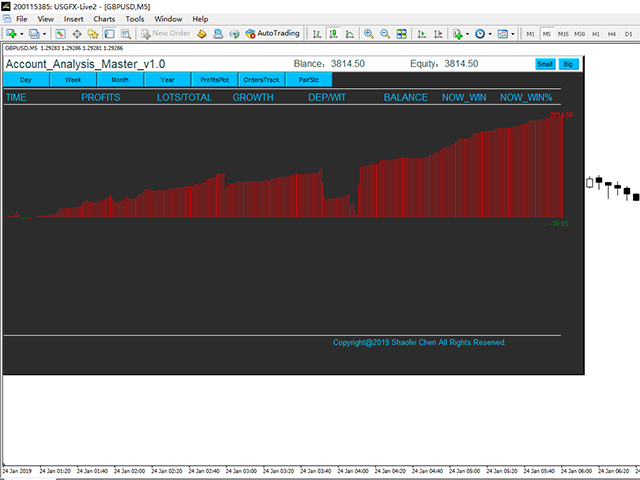 Statistics and display the account profit and loss fund curve. 3. 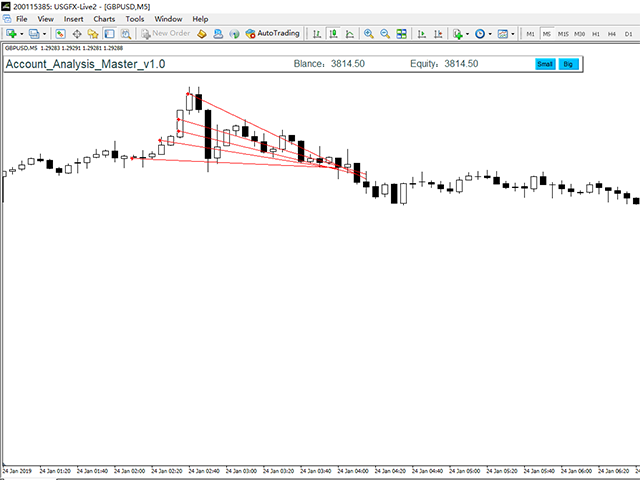 Display the order's track on chart,so that we can analys the strategy and risk of the account. 4.List account's trade pairs and order totals,we also can see the profits of each pair. I only sell this useful indicator for $30,so that if you love and buy it. If you have any question,contact me though the MQL5 community.